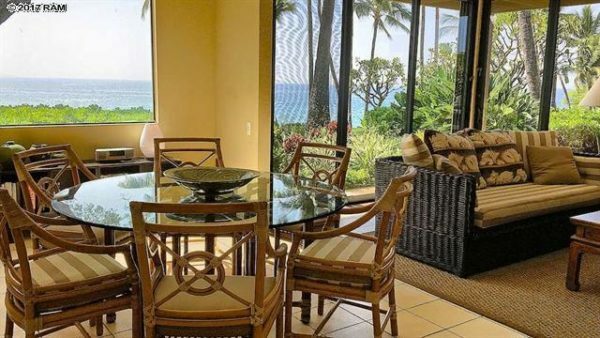 Wailea Elua is a tremendous villa with ability to offers its owners direct beach access as you are able to walk out from your lanai across the lawn and onto the sand shores of the clear blue Pacific Ocean. Located in the front row of the community and closest to the beach, panoramic ocean views are the unit’s main selling point. In addition to two deluxe master bedrooms, the unit boasts a redesigned gourmet kitchen, a casual living area (which accommodates 2 more guests) plus both indoor and outdoor dining areas, all with large, exhilarating views. A garage was also included with the sale of the unit. We are proud to have represented our clients and snag them an awesome deal on one of the complex’s most desired villa. The unit first came to unit last year in March and has spent some considerable time on the market. The unit went through a few price reductions but wasn’t able to attract serious interest. I presented this opportunity to my buyer clients and they were willing to make a serious offer. After some negotiations, our clients were able to secure the property for $3.25 million, more than $500k off original asking. Only steps to the beach, oceanside pool and clubhouse. 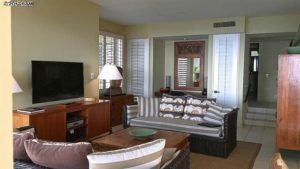 The Prestigious Wailea Elua offers amenities of a fine resort. Owners and guests will enjoy the beach pavilion with a large swimming pool, a fitness center, barbecues and a kayak storage shed (membership in the community kayak club is available to all residents). Beautiful, paved beach walkway for casual walks. Staffed entry for security and only minutes to the shops, restaurants and champion golf courses of Wailea. In 2018, the Wailea Elua market was just shy of averaging a little over unit per month for a running sales volume of $15.2 million. Buyers have paying slightly over $2.1 million on average for a property in this beachfront community. Considering this complex is one of the pricier ones to get into, buyers haven’t been shy to pull the trigger; more than half of the units sold in 2018 have been able to close within 6 months of coming to market. On the other hand, some units have been on the market for more than 1 year, but were still able to secure a buyer. Sales have been sporadic throughout the year with January being the only month that has seen more than one sales. Interestingly, units have either sold in the $1 or $3 million range and 0 in the $2 million price point. The lowest priced unit sold for just under $1.4 million; from the expansive lanai, the unit has beautiful ocean and sunset view that reaches across the living room and master bedroom of this 2 bedroom and 2 bath residence. The highest priced unit sold was a front row center villa with 2nd floor views of the ocean, sunset, and outer island; the unit closed for $3.8 million. For more details about the Wailea Elua sold data, check out our complete set of Wailea Elua sold data since 2008. With a limited amount of inventory on the market, buyers cannot easily find a substitute unit if they cannot negotiate a price point they are happy with. Sellers will hold the upper hand if buyers are intent on buying into the market and do not want to wait. 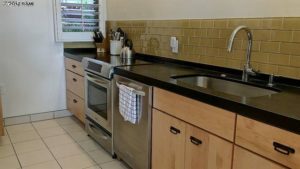 If there is nothing on the market that grabs your attention, you can always stay up to date with our Wailea Elua new listing email alert. Please interview me to be your trusted Maui Real Estate and Lifestyle Advisor. I was born and raised on the island, and spend a considerable amount of time to inform my clients about the best deals currently on the market. Please do not hesitate to call me for your Maui real estate needs. I am more than happy to assist you in your home search.